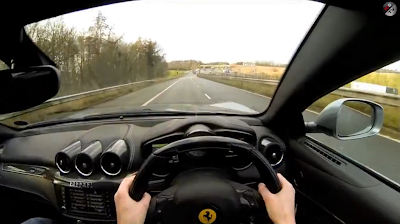 Not everyone are so lucky to be able own or even go for a ride in a Ferrari but today's video is pretty amazing because it takes us behind the wheel of a Ferrari FF driving through the british countryside and to make it better also in a couple of tunnels! The driver has placed on his head a GoPro camera and gives us his point of view behind the wheel of the 660hp italian stallion! "Nice, but where would you get out of 3rd or 4th gear around here!!!?"